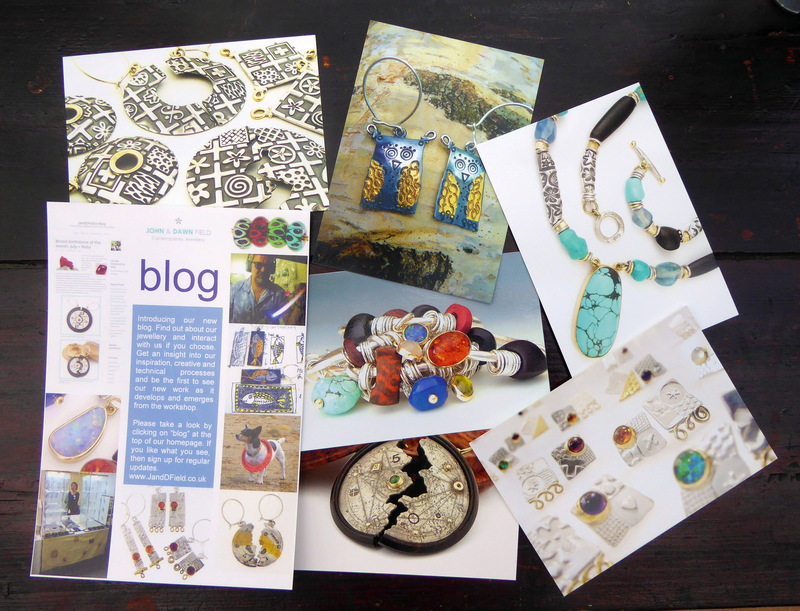 Craft/Trade fairs, here we come! 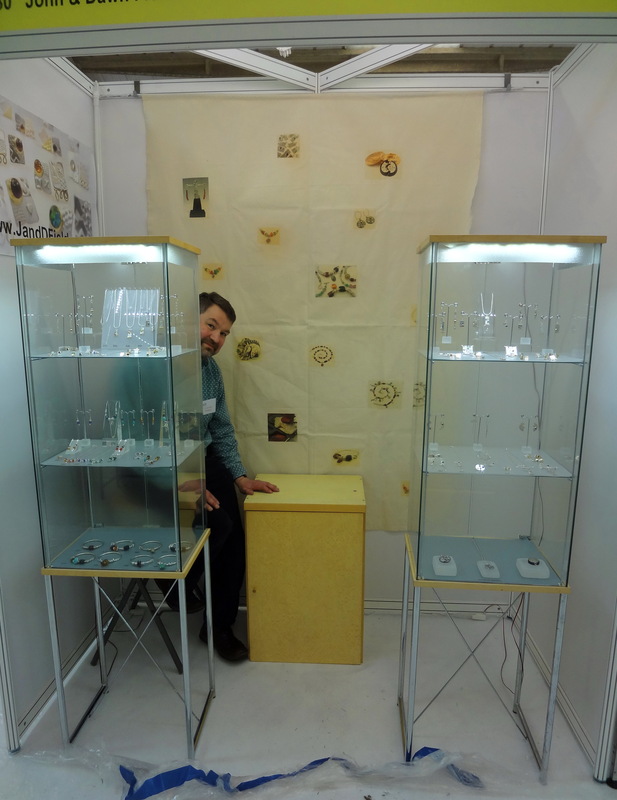 Over the years we have exhibited at a number of Craft and Trade fairs. As this is not an every day thing for us, it takes a bit of time and effort working on display ideas to show our jewellery at it’s best. Sometimes we are also asked to incorporate a theme that the event has asked us to join in with, for example Christmas or a specific special event. Each venue is different, so we need to tailor the display to each event. One of our Christmas themed Craft Fairs. Photo. by Anne field. 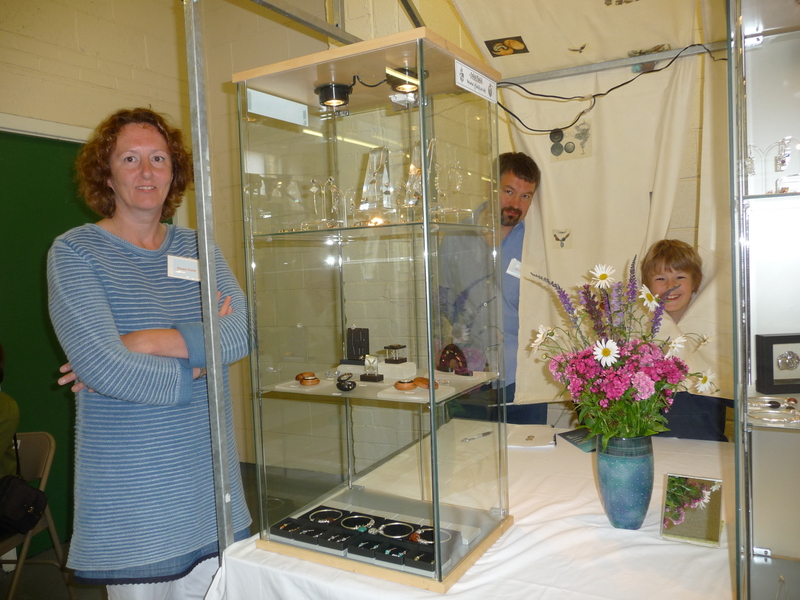 As for the overall display area we have had various ideas over the years. Firstly, we made our own back drop using linen canvas with images of our jewellery ironed on using t-shirt transfers. We were quite pleased with our efforts but the problem was that the images were too small and could not be seen from a distance. The material also gained a slightly brown look when we sprayed it with a fire retardant coating, as demanded by the exhibition organisers. We then had a couple of large banners made, which looked very professional but were a pain to hang and they curled up at the edges after the first use. Setting up at one of the Trade Fairs. With our home made banner at the back. 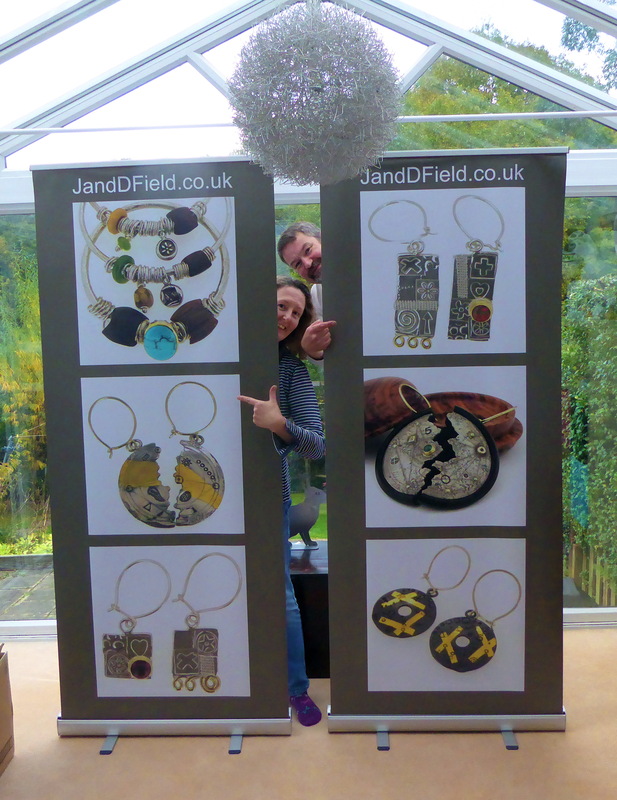 Large photographs of our jewellery came next. Even though they were mounted on card they soon got marked and were easily damaged. They were also difficult to store and transport and would have been even more troublesome if we had framed them. We then thought about laminating the photographs but we couldn’t find anywhere that could laminate very large prints with a thick lamination. At last, we think that we have found the perfect thing, Roller Banners! We are really pleased with these banners. We had them made by a company called nitro branding in Great Yarmouth. We put together the art work and sent it off to the company to print and make into these wonderful banners. The printed material is quite tough and won’t curl at the edges and the great thing about them is that they roll down into a casing, which makes transporting and storing them easy. We wanted large images of the jewellery that can be easily spotted from a distance. Unlike ceramics, sculpture, paintings etc., we found that unless people were right in front of the cases then they could not see the jewellery. It was easy for people to miss us, especially if there was already someone stood looking at the display. Hopefully these new banners will do the job. We think that they are the bees knees! We also got some new post cards made this week. We use these for promotion and hand them out at the fairs. We also give a selection of them away with a silver cleaning cloth as a little gift, when people buy jewellery from our website. A selection of some of our new post cards. 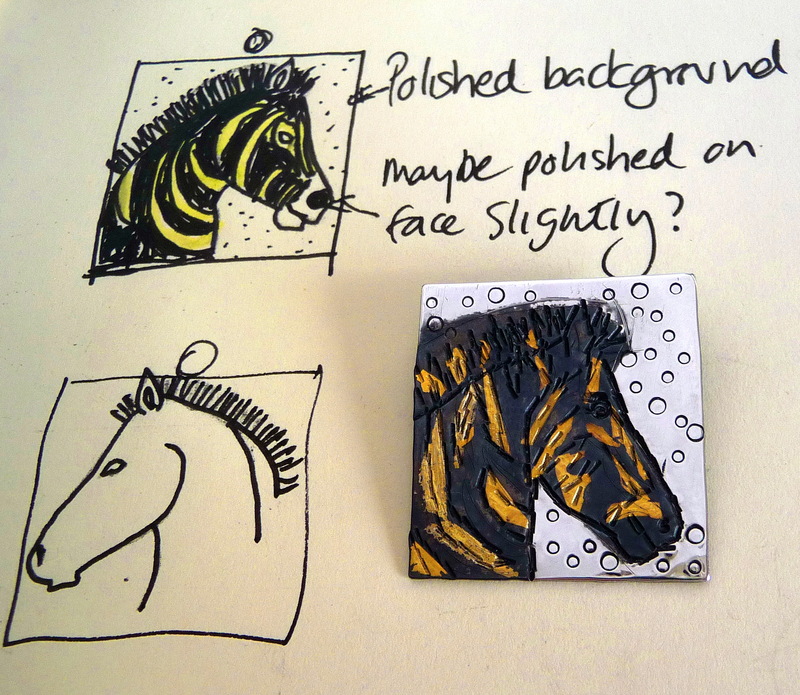 Zebra Brooch. Close but no cigar! The latest piece of Keum boo jewellery to add to our menagerie is not quite there yet! I always make a bee-line for Zebra’s when we visit Wildlife Parks. They are beautiful creatures and because their markings are so dramatic, I felt that they lent themselves to the keum boo technique. I thought therefore that a zebra was a good candidate to be the next member of our menagerie. Keum boo Zebra brooch. 24ct.gold and silver. 2.8cm x 2.8cm. 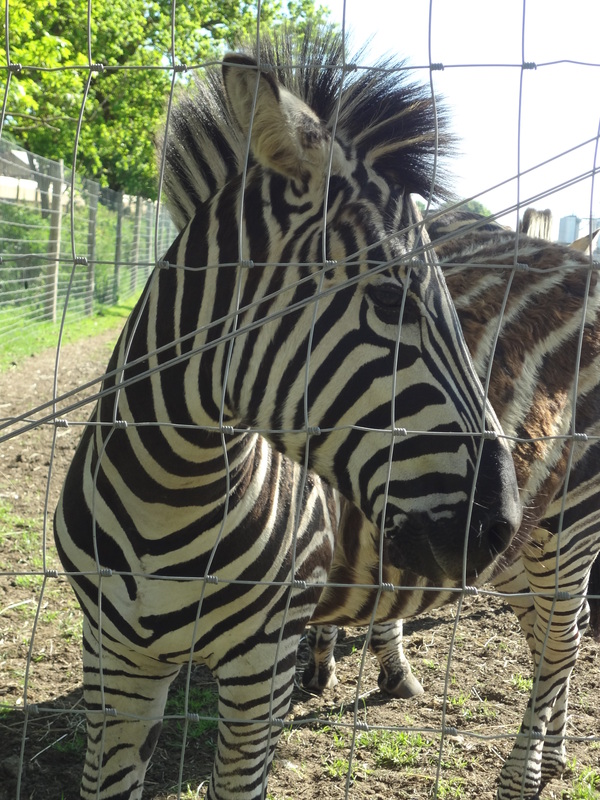 One of the Zebra’s at the Yorkshire Wildlife Park. 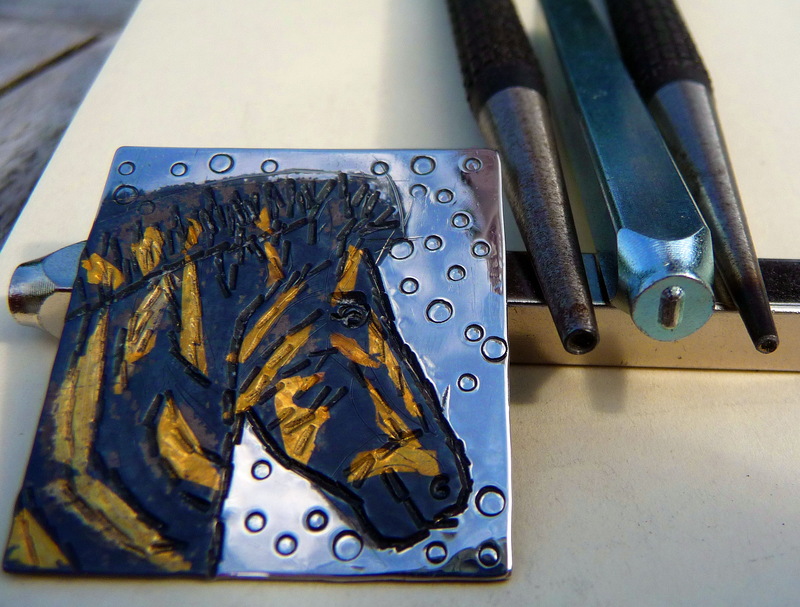 Although I like the finished brooch, I have felt a little frustrated making this piece because of the limitations of using punches. 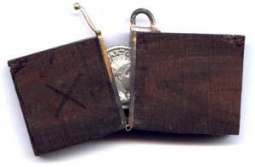 All of the marks on the brooch have been made by using just three punches. I think that the brooch works well taking this into consideration but I would like to get more control of the lines and add greater detail to the work. Zebra brooch. Work in progress. We have been discussing other options and ways of working that will enable us to use the Keum boo technique but which will also allow a more fluid way of drawing the images. We have a few things in mind and we will be working and experimenting with these new ideas over the next few months. We will keep you updated with the progress. 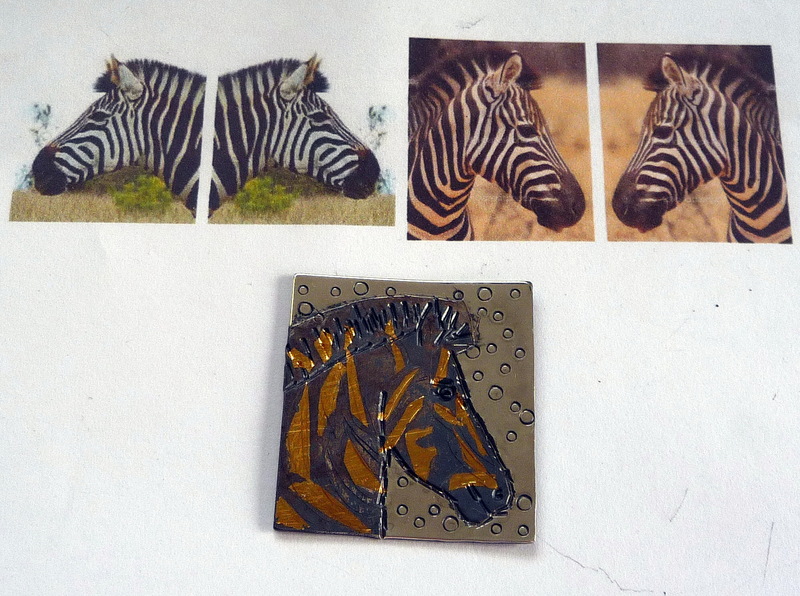 Zebra brooch and the three punches that made the marks. 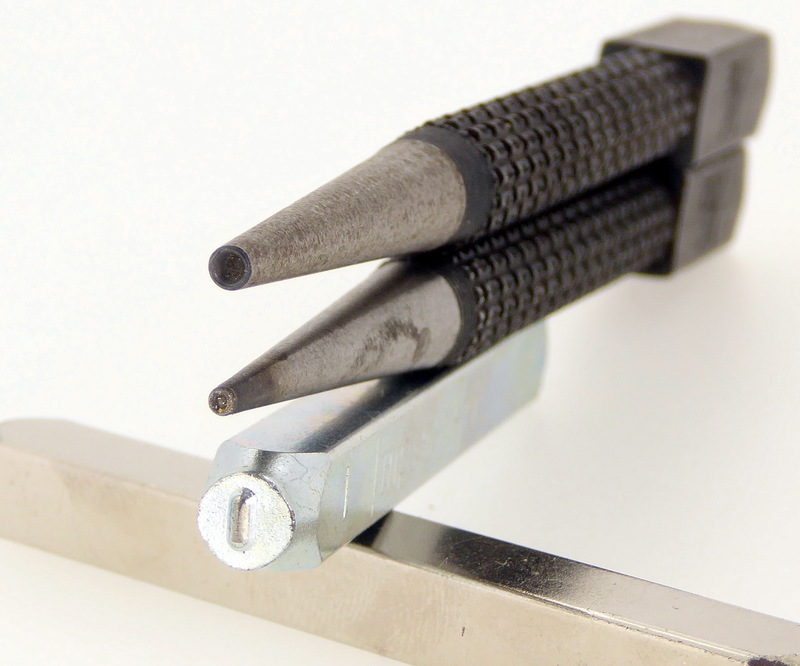 These are the only punches used to create the image of the Zebra. Small sketch/idea for a larger painting. The small study above was a quick, small note-book sketch/idea for a painting that I made a few years ago. I have to admit that being a Mum and working full-time in the workshop doesn’t leave me with much spare time to paint/draw but I do keep ideas scribbled down in note books. 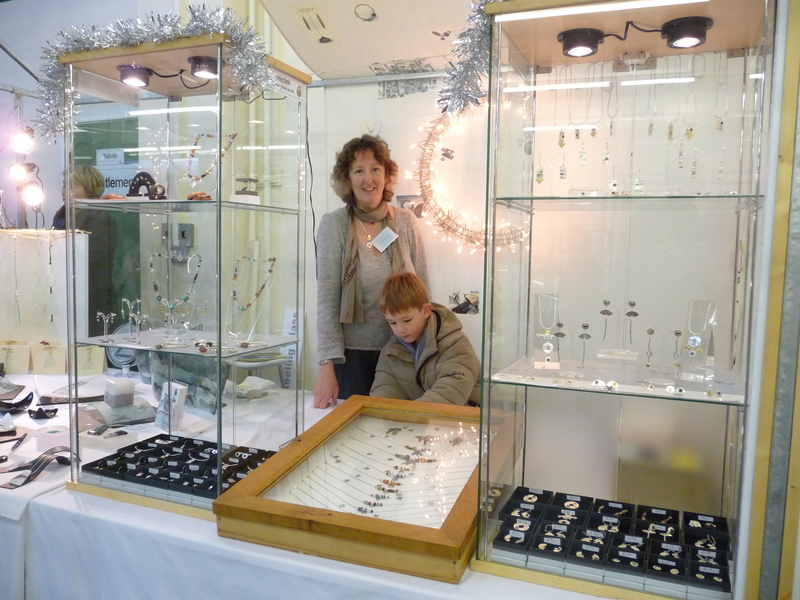 My time and attention is now focused on designing and making jewellery and working alongside John, which I love to do. Although I get great pleasure working on abstract pieces in the workshop, I find that incorporating figurative images from my 2D work into the jewellery is much more of a challenge and one that I really enjoy. 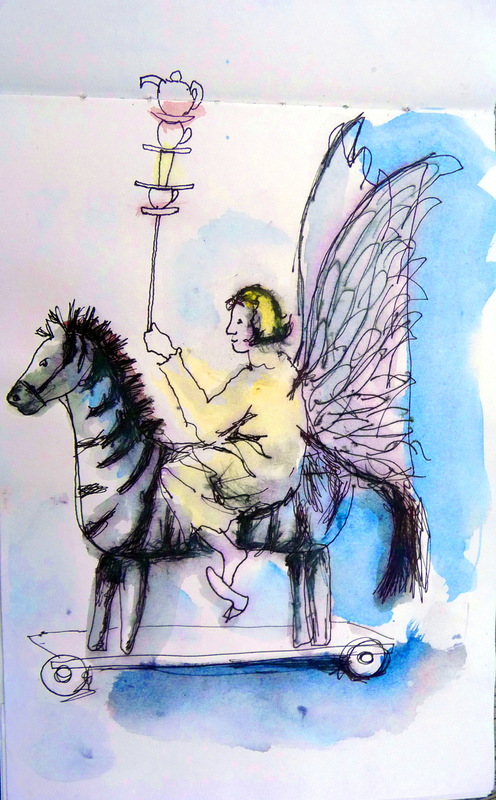 If you would like to look at some of my earlier, finished drawings/paintings then you can find them on our website under the heading of Dawn’s Artwork. Just click onto the image of the charcoal drawing and they will be revealed. Below are some of my favourite Zebra artworks. 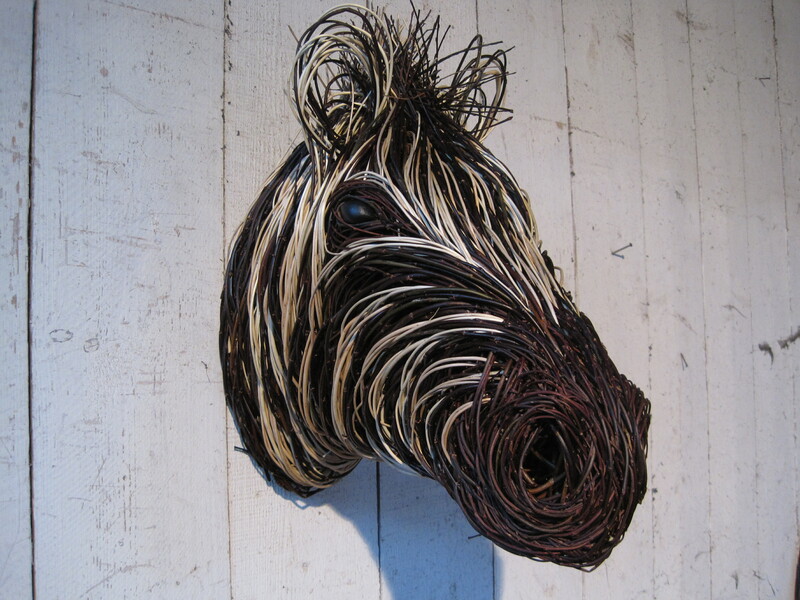 I love the work of the artist Sally Matthews, it is well worth a look at her website if you like animal art work. 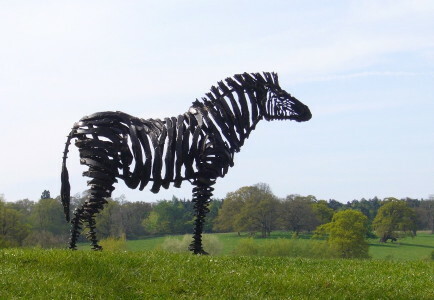 Another Zebra sculpture by the talented basket weaver/sculptor Bob Johnston, also another great website worth visiting. This black and white photograph is one that we came across quite unexpectedly and regrettably we did not buy it. We do not know who the photographer is. Maybe someone out there knows? 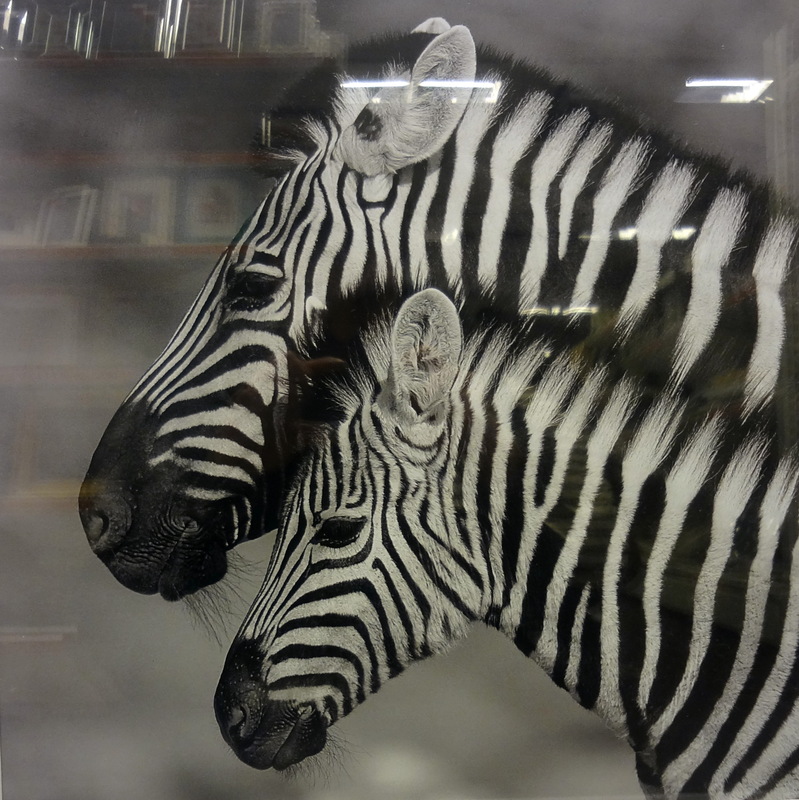 Zebra photograph in frame sold by Costco. I adore these silk scarves, they are designed by the British artist Alice Shirley for the fashion house Hermes Paris. I will have to start saving my pennies! 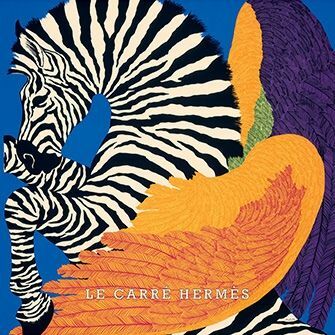 Zebra Pegasus silk scarf designed by Alice Shirley for the fashion house Hermes Paris. 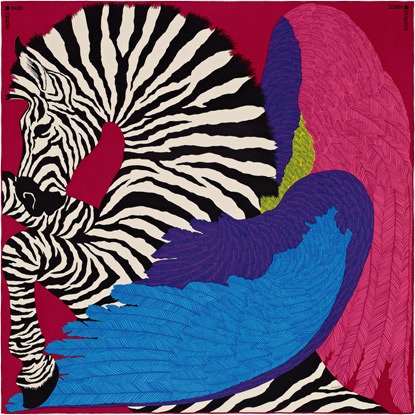 Another variation of the silk scarf designed by Alice Shirley for Hermes. 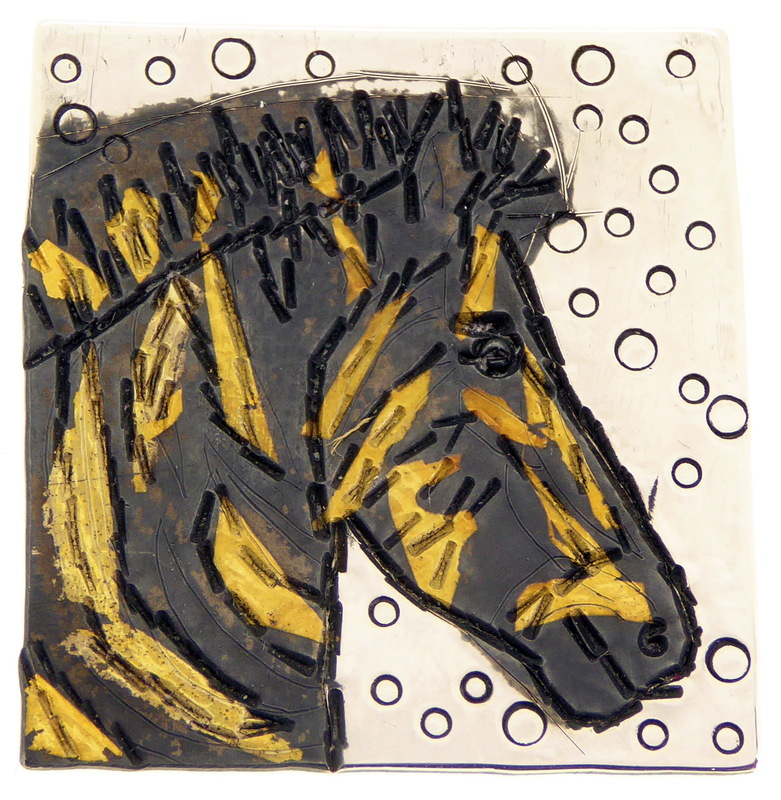 Hopefully the Zebra brooch will be joining our animal range in the not too distant future but you can see our collection so far, on our website. One of our favourite pastimes is to spend time walking on beaches. We inevitably end up with the odd pebble, shell or piece of driftwood finding it’s way home with us. John and Dawn Field. Pebble jewellery range. 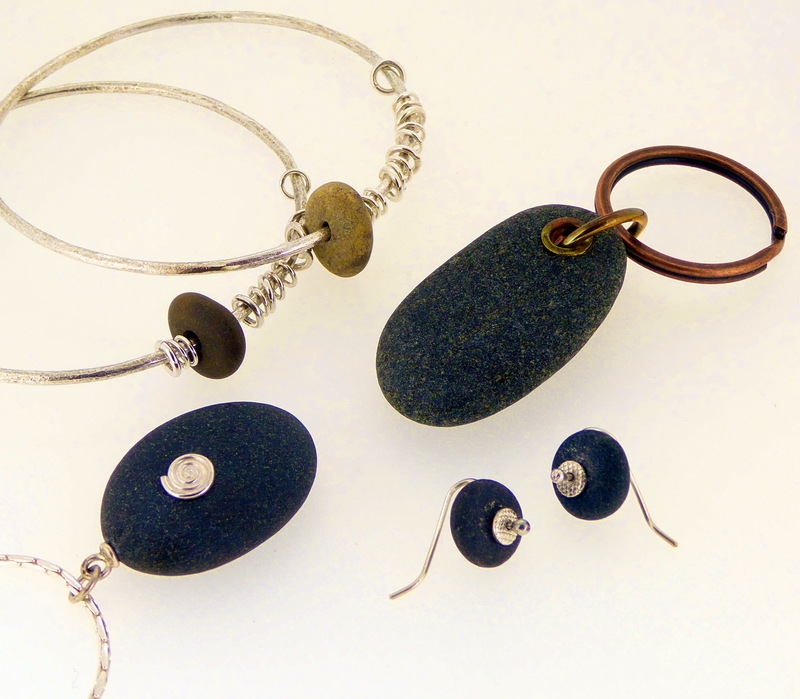 Our Pebble range of jewellery originates from this love of the seaside. We think that pebbles are wonderful just as they are, shaped by nature and with natural colours. 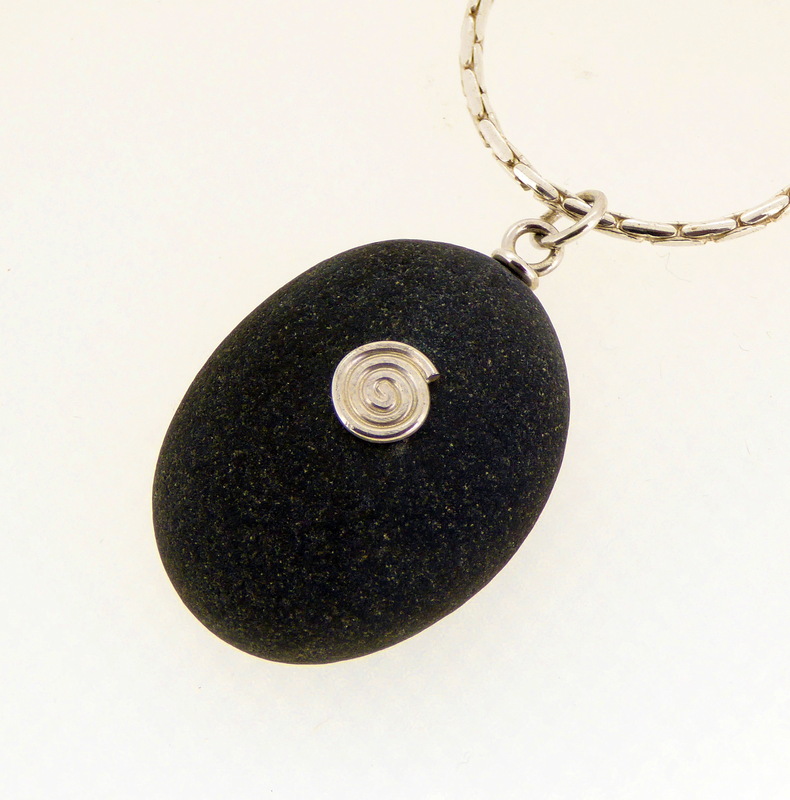 We wanted to create a range of jewellery that would not detract from the beauty and simplicity of the pebble itself. Our pebble swirl necklace. Natural pebble and sterling silver. 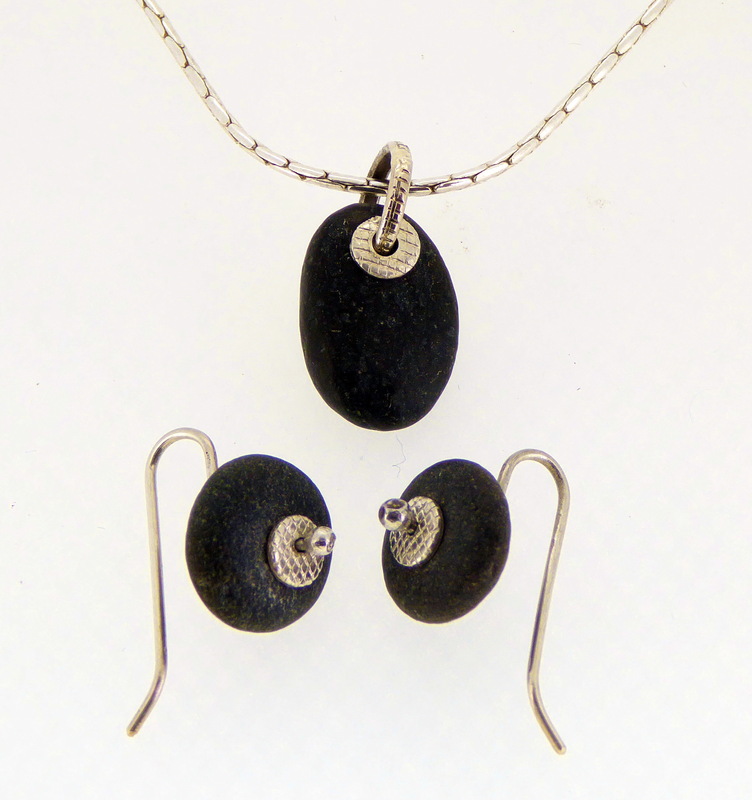 Matching pebble pendant and earrings. 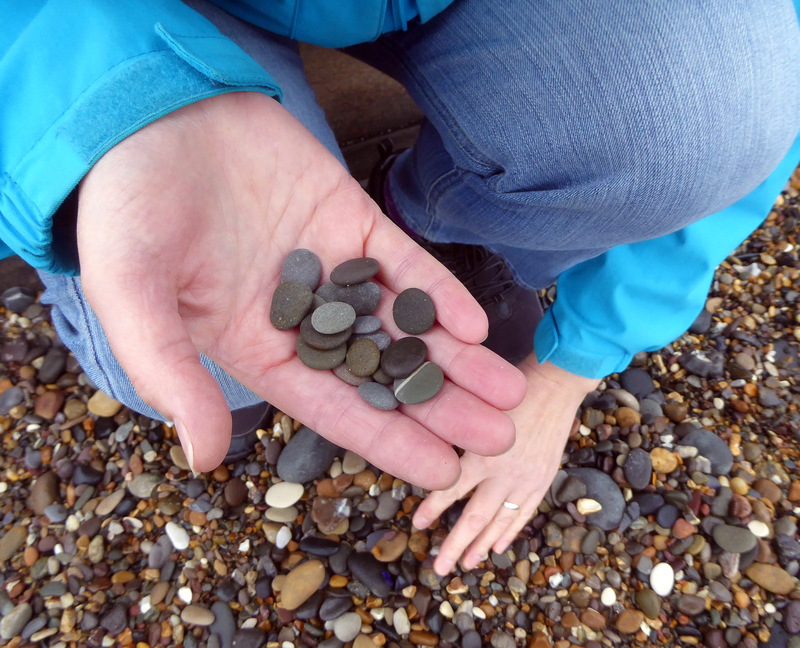 From all of the beaches that we have visited, Hornsea beach, in the East Riding of Yorkshire, is one of the best places for collecting pebbles for our jewellery. 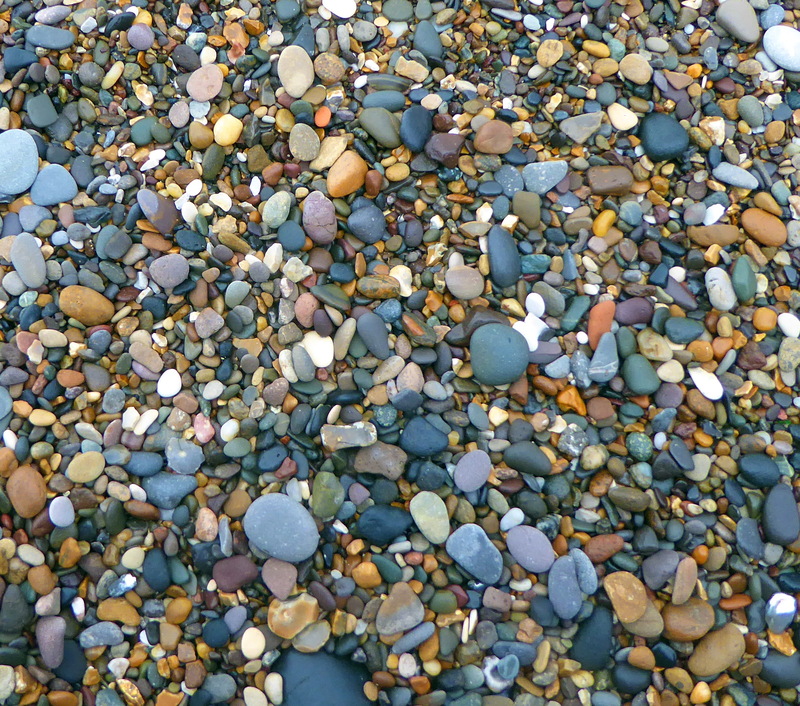 Although the pebbles are plentiful, the difficult task is to find two matching ones. Have a go the next time that you are on a beach, it is not as easy as it sounds. The pebbles need to be the same size, colour, shape and thickness. 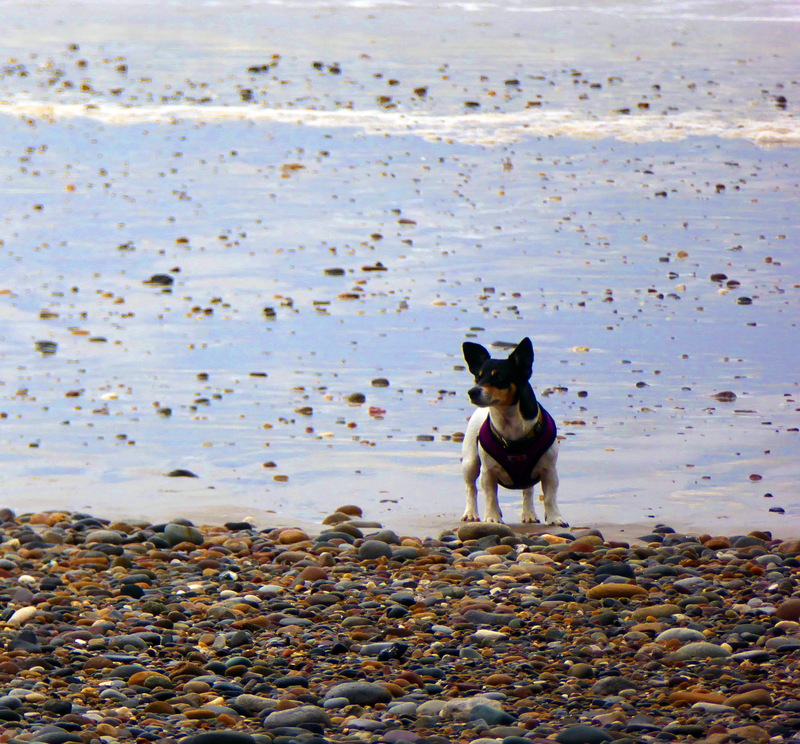 Collecting pebbles on Hornsea beach. Off course, Rosie is always around to give a helping hand/paw. 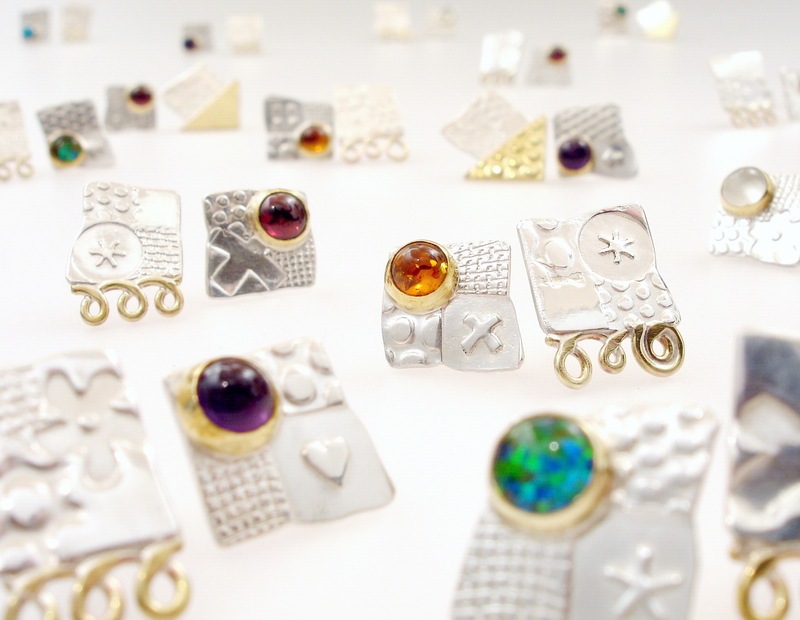 We have been influenced by the natural shape and tactile quality of pebbles in other pieces of jewellery. 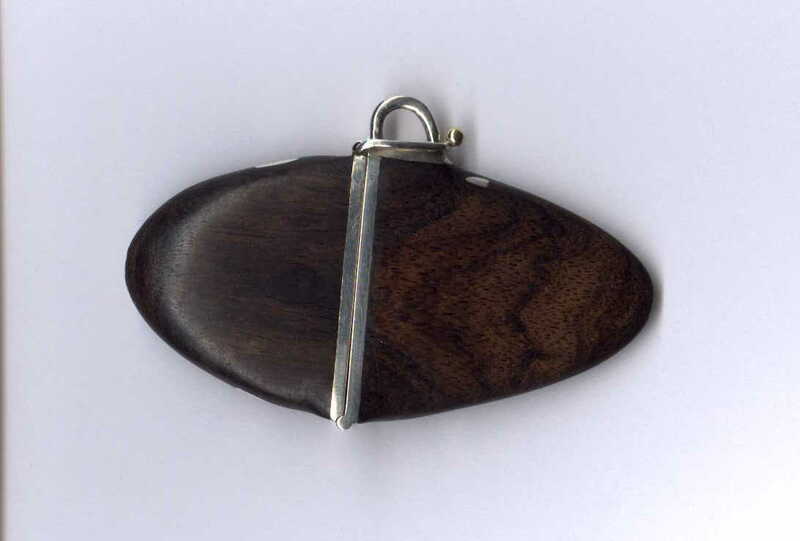 A Decision maker pendant by John Field. Influenced by the shape of pebbles. The pendant opens to show the hidden decision maker inside. 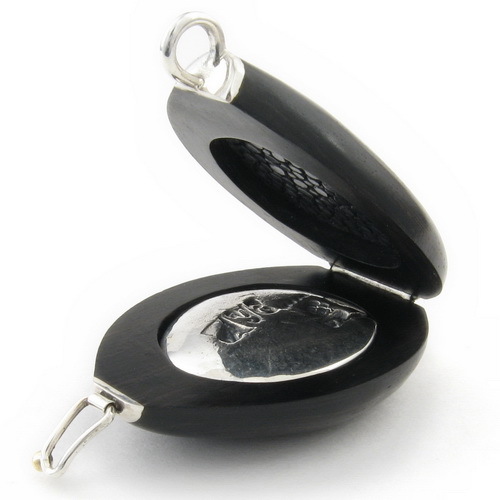 The decision maker above is made from Sterling silver, 18ct. 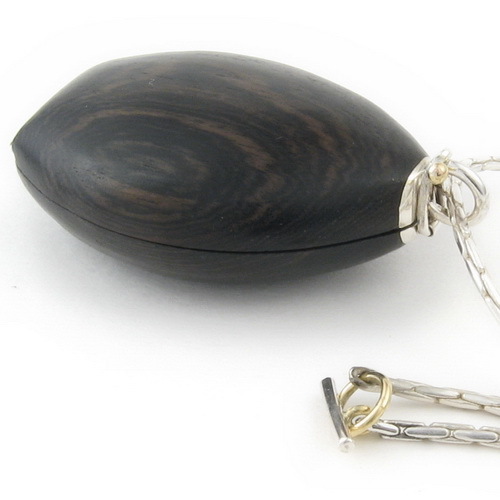 gold, African blackwood and Shagreen. 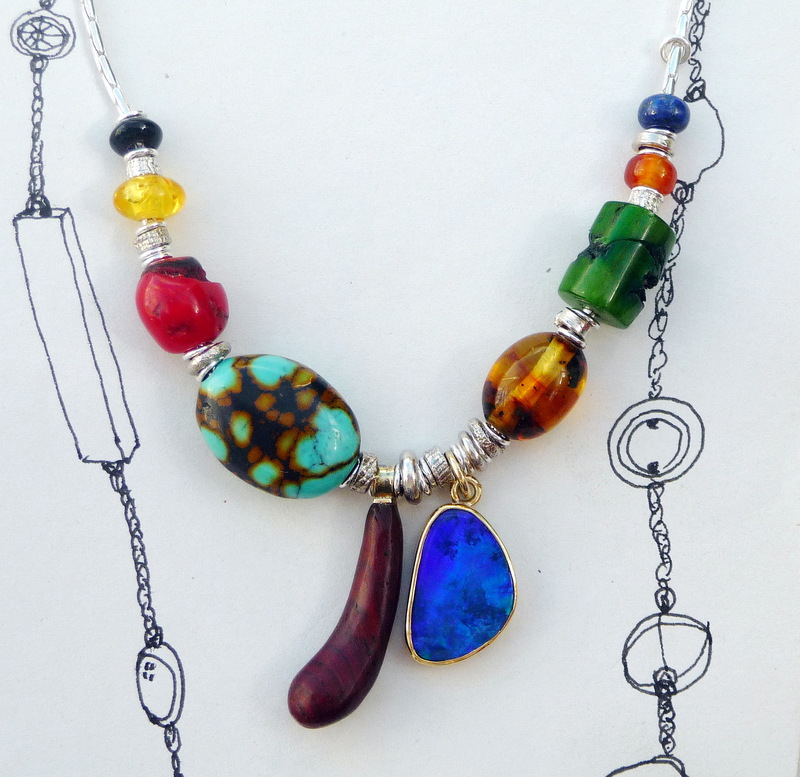 This beautiful pendant can be found on our website if you would like a look at it in more detail. As you can see by the photograph of the split pebble below, this is another decision maker that has been inspired by a pebble that was found on a beach. This decision maker can be carried in your pocket as it is, like you would a pebble. It also comes with a chain, so that it can be worn as a pendant. 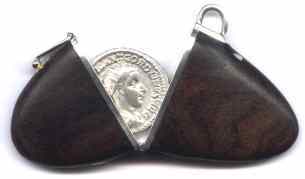 It is wonderfully crafted out of African blackwood, Sterling silver and 18ct. gold. Another decision maker that has been influenced by the shape of a pebble. This piece has sold but we do have other decision making devices on our website. Opal in the rough. Photo from Golden Hour Minerals. The word Opal originated from the Greek word ‘Opallios’ meaning to see a change of colour, or the Latin word ‘Opalus’ which means precious stone. It is one of our favourite gems and we use it in nearly all of our ranges of jewellery. Opals were formed 30 million years ago, mainly in an area that we now know as Australia. It is believed that an inland sea covered central Australia, and huge amounts of silica sediment were deposited around its shoreline. This watery silica sunk into the earths surface, filling crevasses in the rocks and settling in layers of clay. Once the water had evaporated it left behind the silica which hardened into precious opals. Australia produces around 95%of the worlds opals but they can also be found in America, Mexico, Ethiopia and a few other countries. 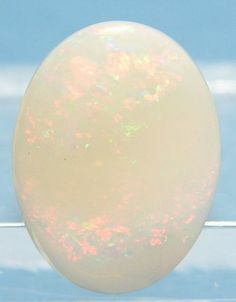 The majority of opals found are white, this is known as ‘common opal’. It has a milky or pearly lustre known as ‘opalescence’. Rare specimens of opal, which are only found in a limited number of locations worldwide, have brilliant flashes of colour when turned to the light and are known as ‘precious opals’. The term ‘play of colour’ is used to describe the shifting colour flashes in the high quality stone. ‘ Common opals’ do not exhibit a ‘play of colour’. A beautiful blue opal doublet necklace made by John Field. Opals can be found in other colours as well as the more common white and blue. Perhaps one of the best known are fire opals. These are transparent to translucent opals that have a bright fire-like background colour of yellow, orange or red. Often exhibiting no “play-of-color”. 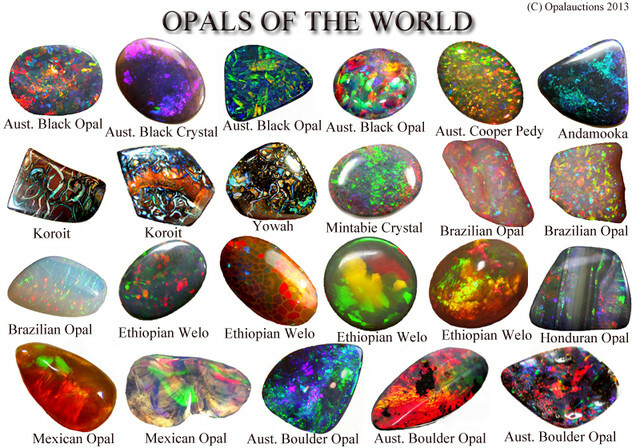 This photo shows a selection of different coloured opals from around the world. Photo sourced from opalauctions.com. In our work we use different opals, not only in colour but also in their structure. Solid opals. These opals have been cut into shape from a solid single piece of rough. As we have mentioned in a previous blog these opals are delicate and are very difficult to set. Opal doublets. Some opal in the rough is found in very thin layers but has brilliant fire or play of colour. These pieces, as well as slithers that are cut from larger solid opals, are made into opal doublets. 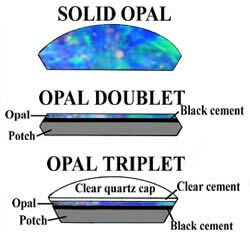 Opal doublets consist of two layers, a slice of opal and a backing. The backing can be made from a number of things, black potch (colorless opal), black glass, hard plastic, and other materials. 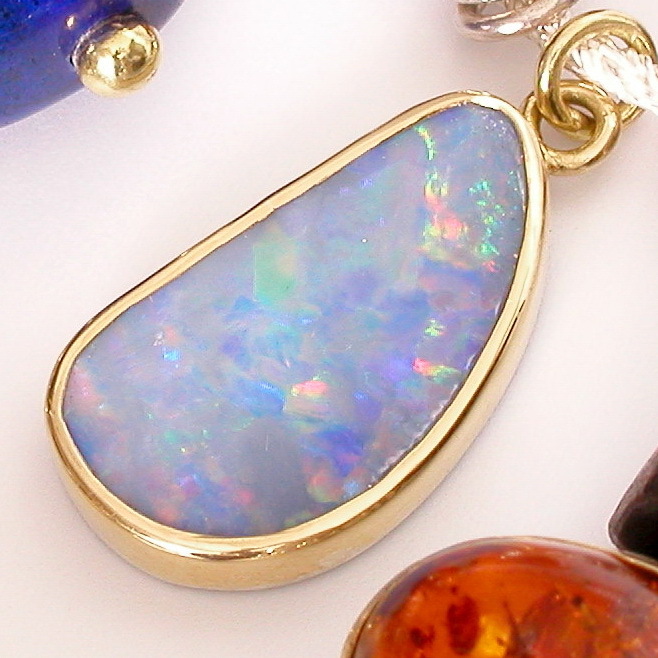 It is usually a black colour as this helps to promote the play of colour and luminosity of the opal that is on top. The major advantage of the doublet is the strength that it gains because of the backing, they are easier to work with than the solid opals. Opal triplets. These stones are similar to the doublets but have a clear top section glued on. This is made from clear quartz, spinel or other clear material. This makes the opal more robust and protects it from abrasion and impact. 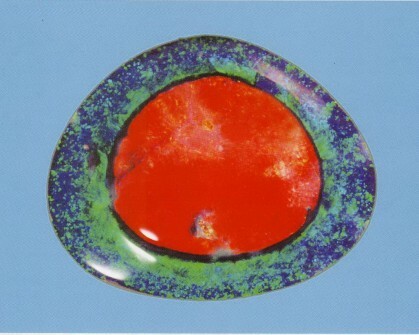 It also acts as a magnifying lens to enhance the colours of the opal layer. 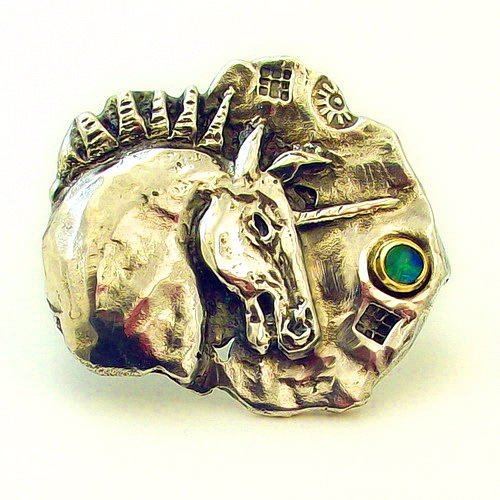 Dawn’s unicorn brooch is made from Sterling silver, 18ct. gold and a solid opal. 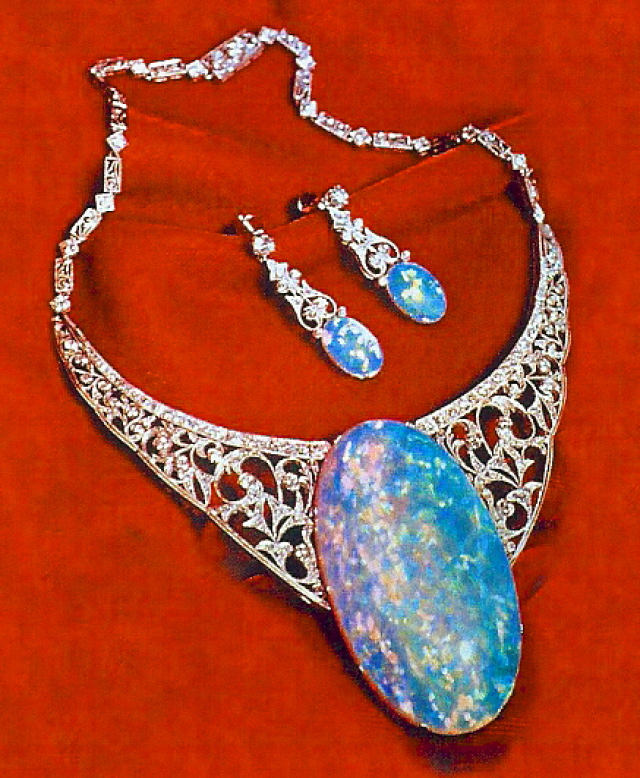 John’s necklace features an opal doublet. Lab grown opals In our Asymmetric, Matching and Imprint ranges of jewellery we also use Lab grown opals. The lab made opal is chemically, physically and optically identical to the gems that occur in nature. The main difference with natural opal and lab grown, is that the occurring process has been sped up in the laboratory. 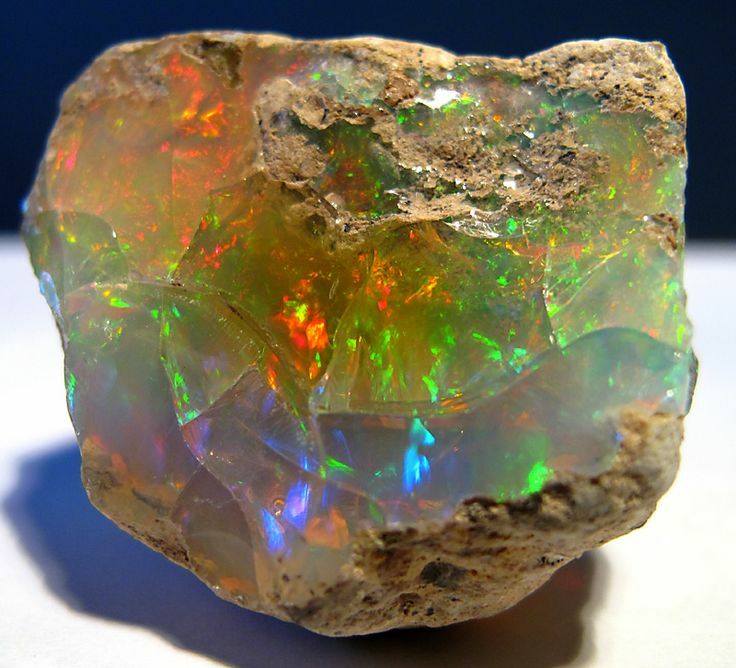 Also, because natural opal contains water from ancient seas, it can be subject to cracking or “crazing,” especially when exposed to extreme heat and dryness. In lab grown opals the water has been replaced with silica, making them much more stable. We use this stone for many reasons. Because of the nature of opals, the colour and pattern differ immensely. With the lab grown opals we can get similar colours more consistently, with greater clarity and fewer flaws. The durability and resistance to cracking and abrasion are also a big factor. Lab grown opals also have less of an impact on the environment than mined gems and have a lighter carbon footprint. Another important reason is the cost. 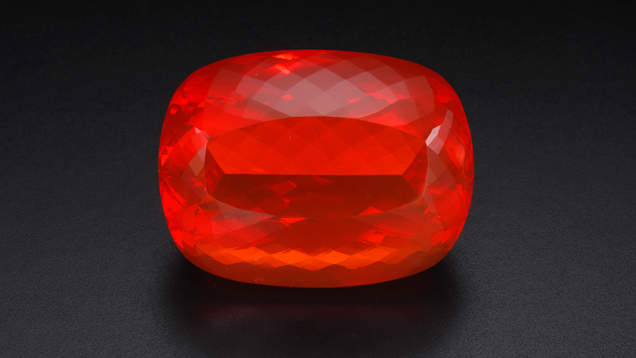 Natural gemstones are becoming more difficult to obtain and therefore are getting more expensive. You can find all of the above jewellery featured in this blog on our website. 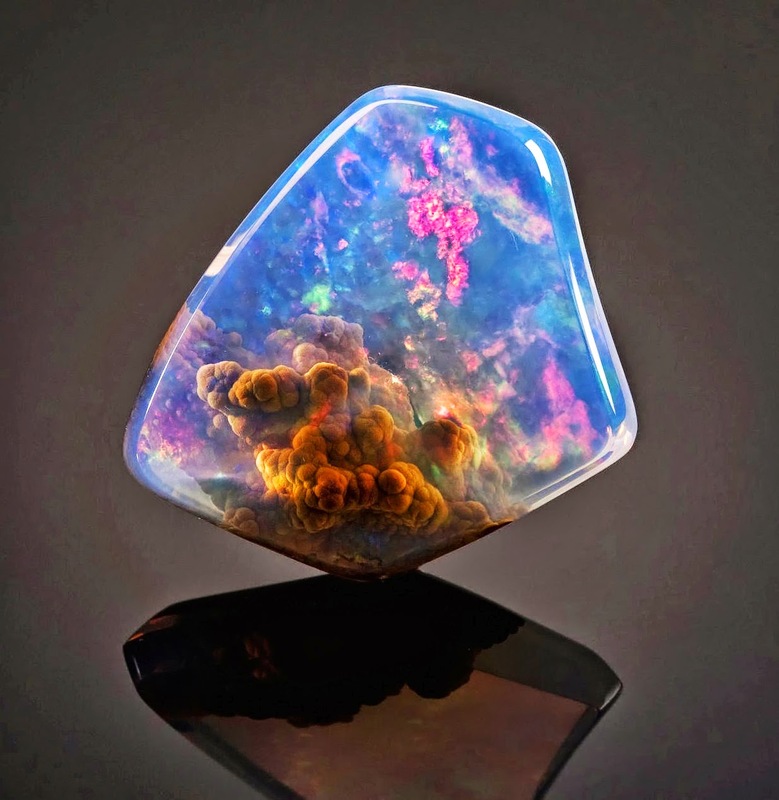 The genuinely awe inspiring Galaxy Opal.